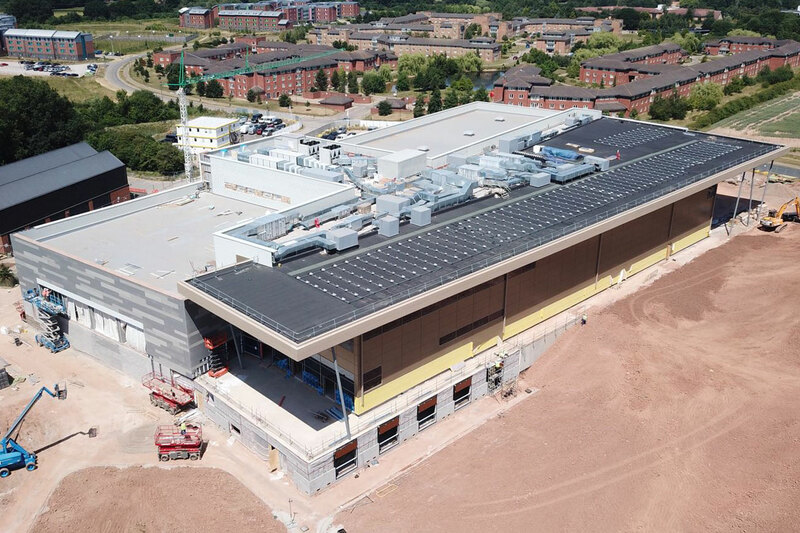 We were responsible for the installation of a variety of cladding and roofing solutions for the brand new state of the art sports hub at Warwick University. 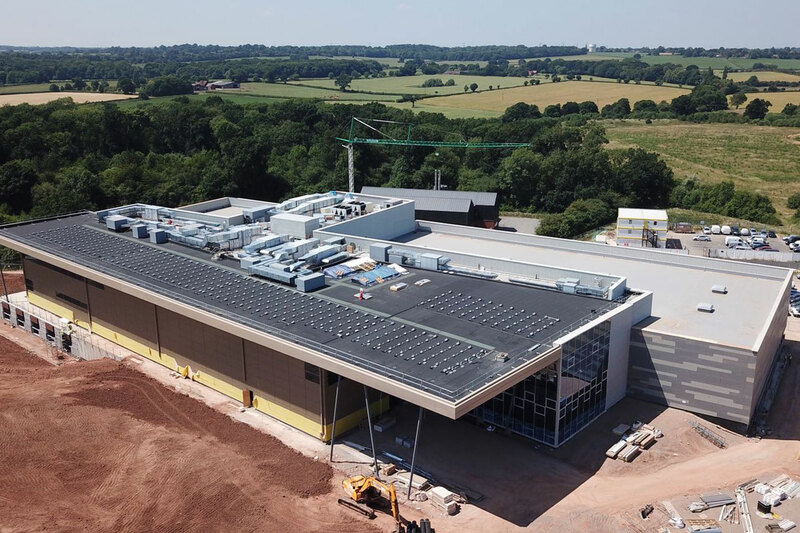 This brand new, state of the art sports hub is home to a wealth of world class facilities including a sports hall, a 25m swimming pool, fitness suites, an indoor climbing wall, squash courts and versatile studio space. 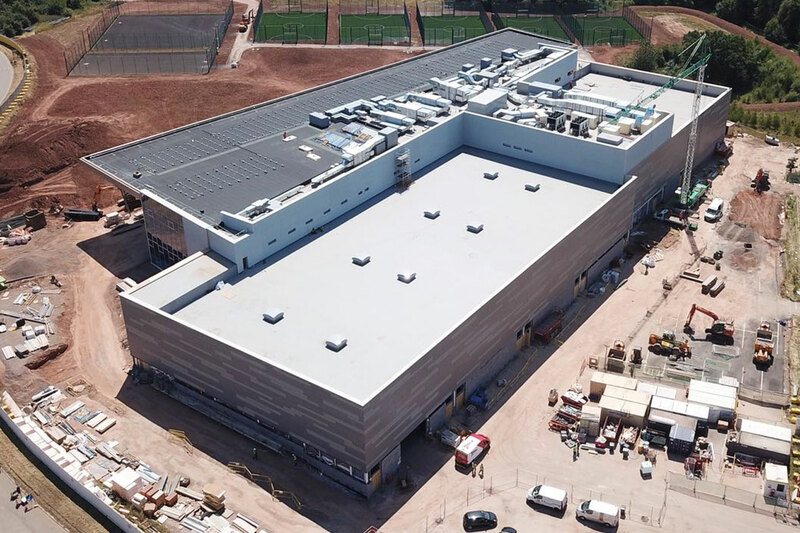 Sage were responsible for the Eurobond Rainspan carrier panels, Swisspearl rain screen, Trimo Qbiss One panels, dummy louvre sheets and Taylor Maxwell stone panels on the walls. For the Roofing element we installed D200 decking perforated and plain, Permatec hot melt, paving slabs and ballast, Prevent felt system, Armourplan single ply, Topspan composite with Armourplan and the mansafe guardrail. Roofs – D200 decking perforated and plain, Permatec hot melt, paving slabs and ballast, Prevent felt system, Armourplan single ply, Topspan composite with Armourplan, mansafe guardrail. 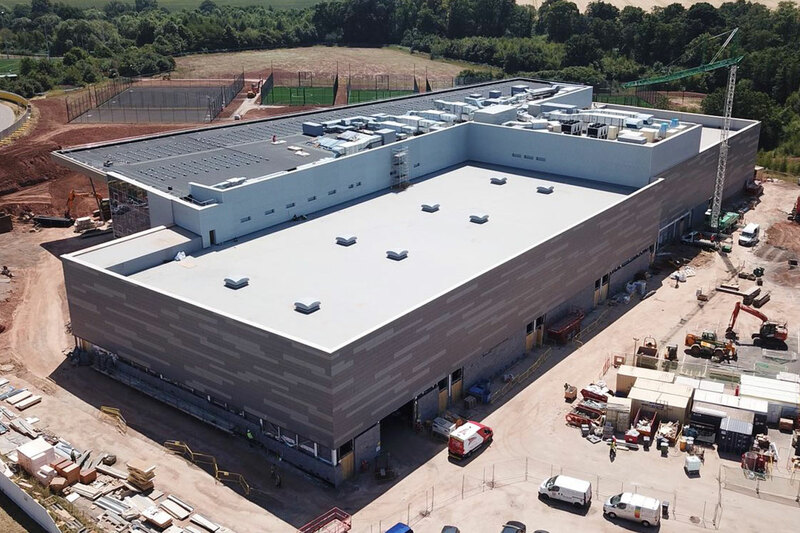 Walls – Eurobond Rainspan carrier panels, Swisspearl rain screen, Trimo Qbiss One panels, dummy louvre sheets, Taylor Maxwell stone panels.